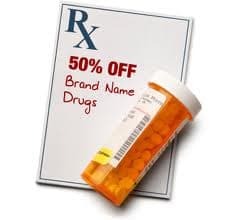 How does prescription abuse begin? What should you look for in treatment? Although many people use prescription drugs as their physician prescribed them, prescription drug abuse remains a problem. For many people, the abuse of prescription drugs begins by using their medications outside of the doctor-recommended guidelines. This may include taking more than the prescribed dose in hopes of stronger effects or even taking the medication simply to get “high”. When it comes to recognizing the signs of prescription drug abuse in yourself or someone you know, it is important to understand that each individual and each drug is different. As a result, there is no exact timeline regarding how long it may take for dependence to develop. There is a common misconception that prescription medications are safer than illegal substances, but this is not the case when prescription medications are not taken as prescribed. Your or your loved one may also be at risk for other serious health issues, including drug overdose. Your life does not have to end because of an addiction. Prescription drug treatment centers can provide you with the help you need to get clean and start over with a healthy lifestyle. The first step is for you or your loved one to admit that a problem exists. Finding a suitable prescription drug rehabilitation center will provide you with the help you need to cope with any withdrawal symptoms you may experience. Professional treatment can teach you how to maintain your new drug-free and sober lifestyle. It may be necessary for an experienced physician to reduce your dosages over a period of time in order to ensure a safer withdrawal period. Depending on the prescription drug of abuse, it may be possible for your healthcare provider to prescribe a safe substitute medication for you to take during the withdrawal process. Due to the careful monitoring that is necessary during the prescription drug abuse detoxification process, inpatient treatment is often recommended. Prescription drug abuse recovery is an ongoing process. 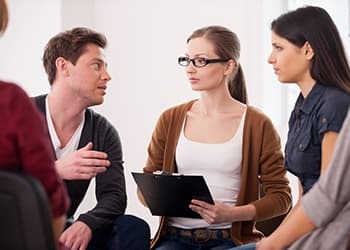 When you are trying to find the most appropriate rehabilitation facility for yourself or your loved one, it is important to focus on finding a program that will also provide psychological therapy. Both group and one-on-one therapy sessions can be beneficial in helping you understand your addiction. Addiction Recovery therapy can help you resist relapse temptations when you leave the drug treatment center. When comparing facilities, ask about the staff’s medical certifications and whether or not they have experience treating individuals with prescription drug addictions. You do not have to travel this road alone. A prescription drug rehab and treatment program can provide you with a caring environment and the tools you need to recover. Please contact us today at 1-888-319-2606 Who Answers? for help in finding a suitable treatment facility. After you or your loved one has completed an inpatient prescription drug recovery program, it is important to continually work on maintaining a lifestyle that is free of substance abuse. Many treatment facilities provide support groups and other outpatient services that will assist you in the transition to a sober lifestyle. Make sure to find out whether the rehab facility you are considering offers such services. It is possible to have a happy and healthy life that does not revolve around drug use. Prescription drug recovery centers can provide you with the necessary tools and support necessary to achieve your recovery goals. Who Answers? today to speak with a treatment program specialist about how to find the perfect program fit.
. U.S. National Library of Medicine. (2016). Medline Plus, Prescription Drug Abuse.
. National Institute on Drug Abuse. (2014). Prescription Drug Abuse.
. National Institute on Drug Abuse. (2015). DrugFacts: Prescription and Over-the-counter Medications.